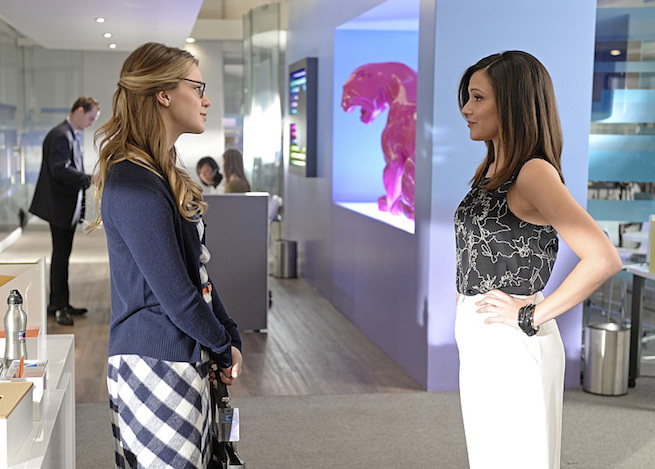 After a week off for the Grammys, 'Supergirl' is back on Monday with an exciting new episode. Entitled 'Truth, Justice, and the American Way,' it'll feature the addition of new assistant Siobhan Smythe (Italia Ricci), aka the comic book villain Silver Banshee.There's also the return of Non and the debut of the episode's villain, Master Jailer (Jeff Branson), who'll be on a murderous rampage executing escapees from Fort Rozz in National City. The episode was written by Yahlin Chang and Caitlin Parrish. Lexi Alexander (Green Street Hooligans, Punisher War Zone) directed who's also directed episodes of Arrow and Limitless. Supergirl airs Mondays at 8 PM ET on CBS.